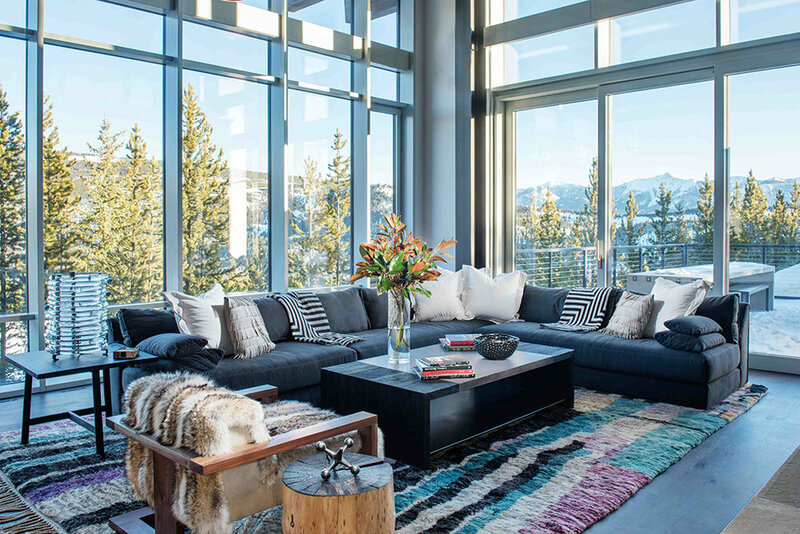 At home in Aspen, LA or NYC, our Caribou Lounge is actually upholstered with Coyote Fur. Secured in an exposed hardwood frame, this is a chair that is equally beautiful from any angle. 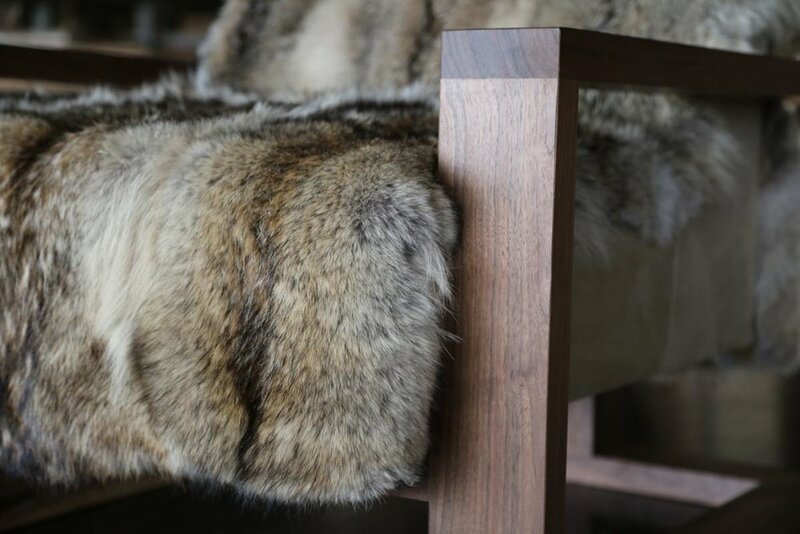 The structure ﬂoats in a solid American black walnut frame which contrasts assuredly with the variations of the fur. Upholstery: Sustainably-sourced Canadian Coyote Pelts, microsuede sides w/two layers of foam and one layer of Dacron interior. COM & COL available. Black Walnut exposed frame, other hardwoods available. Dimensions: 34"w x 38"d x 28"
Made-to-order. 6 to 8 week lead time. The coyote (US /kaɪˈoʊtiː/ or /ˈkaɪ.oʊt/, UK /kɔɪˈjoʊteɪ/, or /kɔɪˈjoʊt/; Canis latrans), also known as the American jackal, brush wolf, or the prairie wolf, is a species of canine found throughout North and Central America, ranging from Panama in the south, north through Mexico, the United States, and Canada. It occurs as far north as Alaska and all but the northernmost portions of Canada. At night, Native American Indians could hear the sound of the coyote howling. With their high pitched howling, it's no wonder that the coyote became the center of many of the Native American Indians legends, stories, and folklore. These wild animals howl to help stay in touch with other coyotes.